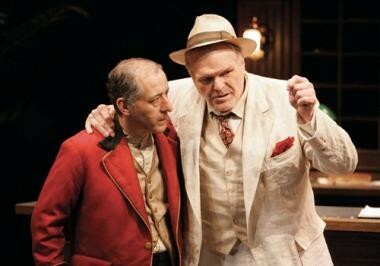 Joe Grifasi and Brian Dennehy in Hughie at the Goodman. 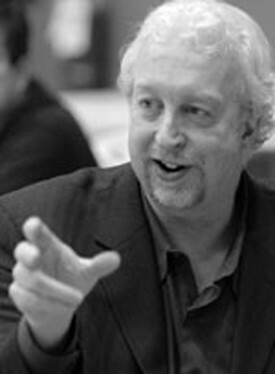 Robert Falls directed Hughie and is artistic director of the Goodman. Dennehy takes on Beckett in Krapp’s Last Tape. Jennifer Tarver brilliantly directed Krapp’s Last Tape. Brian Dennehy in Hughie at the Goodman. Brian Dennehy performed two plays at the Goodman Theater in Chicago. Hughie and Krapp's Last Tape had first been paired at the actor's suggestion, because Hughie seemed too short for a full program. The pairing is a stroke of genius emphasizing both playwrights' preoccupation with the meaning of life when faced by death. Don't be put off by this gloomy tag, however. There is much humor and vitality in both plays. Dennehy's Erie Smith in Hughie, first up of the pair, he ambles in from a drunk. In this performance, he has sobered up so that he can both dream and con clearly. The mosaic Dennehy builds is remarkable. You are never aware of any one jagged piece sticking out, because each melds with the next in a contained continuity. The facial lifts and depressions, the carriage of not only the legs, which O'Neill points out are muddling, but also the hands, flickering -- often holding onto air, or nothing, immeasurably add to Dennehy's gripping portrayal. The clerk performed by Joe Girfasi in Hughie was flattened, although O'Neill wrote copiously about what he is feeling at any given moment. The dramatist points out that the clerk tells time by the sounds of the night. Although the clock behind him is working, it does not tick the seconds away. The only sound of the night is an L train shuttling by from time to time. I missed other O'Neill night sounds like garbage being removed, which root the clerk in his present while Erie flies. No sirens here. No cruising taxi. No footfalls of the cop. The director Robert Falls' intent may have been to suspend us, to get us to start listening to the silence, which is so prominent in Krapp's Last Tape. The set in Hughie is appropriately grubby, the windows dirty, the floor scuffed, and everything uncared for including the clerk and Erie. Eugene Lee designed the set with lighting by Robert Thomson. Although O'Neill gives plenty of unexpressed thoughts to the night clerk, he also notes that the clerk's mind has left the lobby in the sole custody of Erie and that it was. 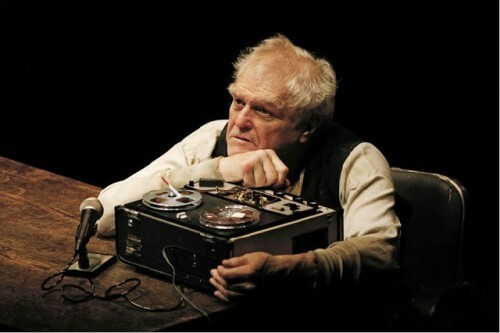 Where Hughie is a mixture of desperation and dream, Krapp's Last Tape is a mix of memory and desire. The curtain rises on a black box room. A sole light, echoing the one of four lights in Hughie that is burned out, shines brightly down on Krapp. From time to time, he retreats through a door behind him to drink (we hear corks pop). Beckett wrote Krapp's Last Tape when he was 52 Â– not 69, Krapp's age in the play. But perhaps he was far enough away from the 39 of the tapes to which Krapp now listens to know what better (younger) times were like. The evocative language of love and sexual passion reminded me of the Molly Bloom's soliloquy near the end of Ulysses Â– lyrical, sensual, in stark contrast to the grunts and non-language which start the play and the familiar brief language punches Beckett provides. Dennehy's silences are stunning. His play with a banana, the fruit of life and cause of the fall, arrests. He licks his lips subtly in anticipation of the bite, he holds the banana in his mouth without eating it for longer than I thought a banana could hold together. Krapp dispatches the peel at once into a locked desk drawer. Later he accedes to fate and drops it onto the floor where it lies, waiting for one foot to fall on the peel and the other to slide to hell. 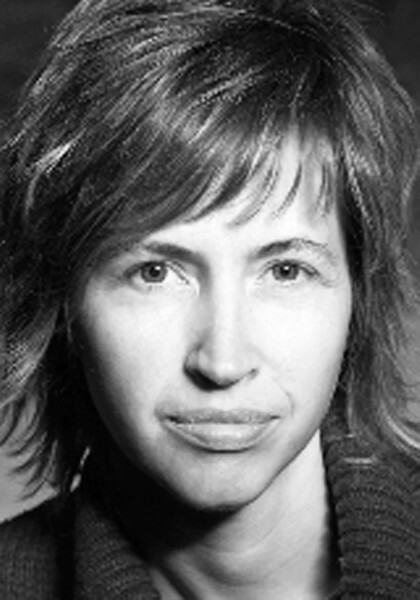 Jennifer Tarver, the director, led Dennehy to startling revelations. The actor chose in each play to mirror the image of the playwright. He does not take on their masks, but embodies them clearly. I liked this touch. Later, looking at the actor's images on the playbill, I realized his evocation was intentional. I may be hammering at these very subtle touches, bringing them further forward than the performance does, but singling out pieces of the mosaic in the simply stunning performances will hopefully induce you to come see the myriad of others. Our longing to be recognized and make sense of ourselves is explored in these deep, rich plays. A great actor leads with joy and courage into the dark corners of human experience. Catch this performance if you are in Chicago. It is wonderful at the Goodman. Among other surprises, we learn the meaning of "viduity" and finally hear the beauty of the word "spool."